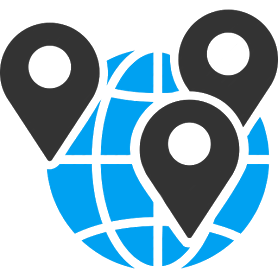 We are an international full-service digital marketing agency. We cover the entire online advertising process for our customers, from strategies to campaign management and optimisation. Our in-house reporting system provides you with clear and easily accessible data, whilst our highly qualified and experienced team focuses on achieving your business goals. Before setting up a campaign, we comprehensively analyse your business in order to understand your customer's needs. We will help you find out more about your target audience, and work on solutions that will convince potential customers to buy your product. Our superb relationship with the media and ad networks means we are perfectly placed to advise on which media channels are best for your business. We will create a spending plan with you to achieve your goals, and monitor this to ensure you get the maximum return on your marketing budget. We will always provide you with all the data that you need to understand the process and progress or your marketing performance. Together we will find a way to make this data as accessible for you as possible. Whilst tracking every single step of your customers' journey, we will constantly be looking for opportunities for improvement. This continuous process of optimisation will result in the steady improvement of your marketing performance. With our PPC campaigns, we measurably increase the traffic on your website, advertising on both external websites and search engines. 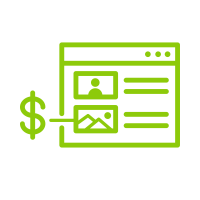 The budget and the bids per click are flexible and will be customized to reach your business goals. Social media has a huge impact on a company's performance, as it opens up new channels for communication with your customers. Our in-house social media specialists will help you increase engagement and sales using these channels, making use of ever-increasing opportunities for interaction. Native advertising can be used to connect better with you target audience, as potential customers will get an extended overview of your product before being exposed to special offers. Matching both the layout and function of the website it appears on, native advertising is a subtler way to increase traffic - we can help with this. When you’re advertising, why not target potential customers that have already shown interest in your product? Retargeting helps you address customers that have already clicked on one of your ads in the past – increasing your CTR by 200-400%. Let us help you give a personal touch to your communications with current or potential customers. Whether you are sending a newsletter or a birthday greeting, automated messages will help you create and maintain valuable relationships. Our experts will analyze every single step of your customer's journey to understand what is causing drop-offs In order to optimise your conversion rate, our team will use this data to improve the attractiveness of your acquisition path, thereby improving your overall number of sales. Reef interactive is an international business with partners and projects all over the world. We are currently working with clients in more than 25 countries. These well-established relationships with agencies and partners across the globe enable us to maximise the ROI for your projects. We will leverage our experience and network to achieve your goals and grow your business.